Tara graduated from the University of Scranton with a B.S. in Biology and obtained her Doctorate in Physical Therapy from Creighton University in Omaha, NE in 1997. She was certified as a Pediatric Clinical Specialist in 2007. 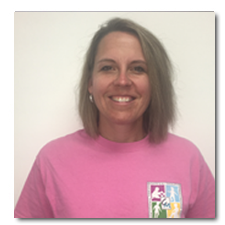 Tara has been practicing as a physical therapist since 1997 in a variety of settings including public schools, acute and long term acute hospitals, pediatric and adult outpatient clinics and nursing homes. Her special interests include orthotics, serial castings, adaptive sports, hippo therapy and aquatics. Tara has received additional training in craniosacral therapy, neuro-developmental therapy (NDT) and Total Motion Release (TMR) and prefers to use these gentle techniques to increase range of motion and improve function. Tara is fluent in Spanish and has traveled to the Dominican Republic to volunteer her services.